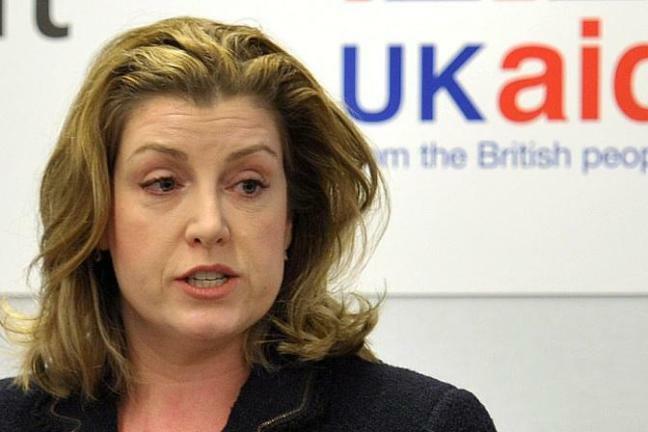 International Development Secretary Penny Mordaunt yesterday announced a £42 million [$55 million] programme to look at the “neglected issue” of safe abortion in developing countries. Ms. Mordaunt unveiled the new UK spending during a speech at Canada House about the UK’s leadership with Canada on gender equality. The speech was couched in the language of “Comprehensive Sexual Reproductive Health Rights (SRHR),” but on this occasion the International Development Secretary was explicit that the money was to be given to the world’s two largest abortion providers and spent on abortion. “A new £42 million programme looking at SRHR will support two consortia of NGO partners on this theme, and I am pleased to announce that these will be led by Marie Stopes International and the International Planned Parenthood Federation,” she said. The UK is indeed a leader in exporting abortion overseas. Britain was already the second biggest funder of family planning programmes in the world before [Prime Minister] Theresa May pledged a further £200 million ($262 million] for family planning last year. This is despite a ComRes poll showing that 65% of the public oppose UK taxpayer money being spent on abortions overseas. In the last five years Marie Stopes alone has been given £163.01 million, and the organisation’s financial report revealed that DFID was the single biggest donor, granting £44 million. This is despite the scandal in 2016 where Care Quality Commission inspectors found conditions so bad it was forced to suspend abortion services. The most recent report, of the MSI [Marie Stopes International] Maidstone clinic, found, in addition to dozens of health and safety violations, that staff called the centre a “cattle market” and were given bonuses based on pressuring women who had decided against abortion to go ahead with it. Icai is not alone in raising serious concerns that DFID pushes the abortion agenda at the expense of women’s lives. As Fiorella Nash explores in detail in her new book, The Abolition of Woman, the push to end “unsafe abortion” (which is given no clear definition) means resources are diverted from interventions which are known to reduce maternal mortality. John Deighan, deputy CEO of SPUC, said it was “reprehensible” that taxpayer money was being spent on abortion overseas when there were pressing areas of need at home. “The governments of the UK and Canada bring shame on western society in their latest initiative to spread abortion in the name of sustainable development,” he said.